For those of you thinking of getting a Feng Shui consultation, but are feeling anxious of what you’re getting yourself into, this article is for you. Before I begin, let me address a possible question that you may have. Is a Feng Shui Consultation Really Necessary? If you truly want results from Feng Shui, and you lack the training and expertise, then a consultation is necessary. However, you might be thinking: why can’t I just read and apply Feng Shui tips I get from the web (including those on this site)? If you think that way, like many others, then you’re going to be disappointed at the results. Feng Shui practice, like other professions, requires schooling and training. Here’s an article that elaborates more: Why You Should Hire a Feng Shui Consultant Instead of Doing It Yourself. Feng Shui practice, like other professions, requires schooling and training. So if you’re truly seeking to gain that extra boost in your life’s endeavors from Feng Shui, I strongly suggest you get a consultation (or take classes and get training). As for the types of consultations that are offered, there are usually two kinds: Remote and On-site. Aside from pricing differences (where on-site consultations usually include travel fees), the two only have a few differences. 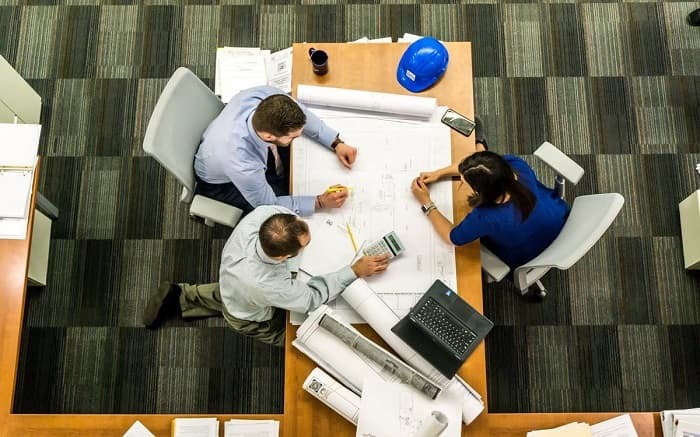 As you can see, many of the most important Feng Shui analysis can be done with a remote consultation, assuming the floor plan, pictures of the interior, and pictures of surroundings are provided. 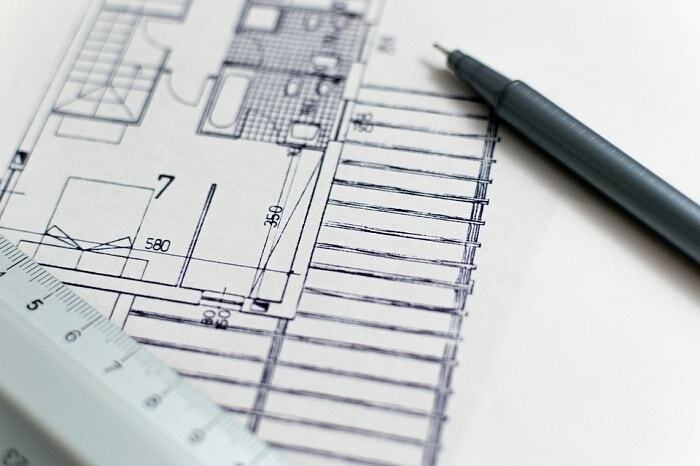 A floor plan (or a sketch of it) and its relative directions are essential for a Feng Shui audit. However, that is not to say remote and on-site consultations are the same. Sometimes, pictures and Google Maps (street and satellite view) can only provide so much information. Being present at the premise allows the expert to get a better feel of the “Forms” and energy of the surrounding. This include the amount of sunlight in the house, the height of the ceiling, and other details. Those details can sometimes be missed when one is just looking at pictures. In those instances, you should expect your remote consultant to ask questions to clarify what’s there and what’s missing. After all, a consultation is a back and forth dialogue. I cannot show you what an on-site consultation looks like. But I can show you what a remote consultation is like. 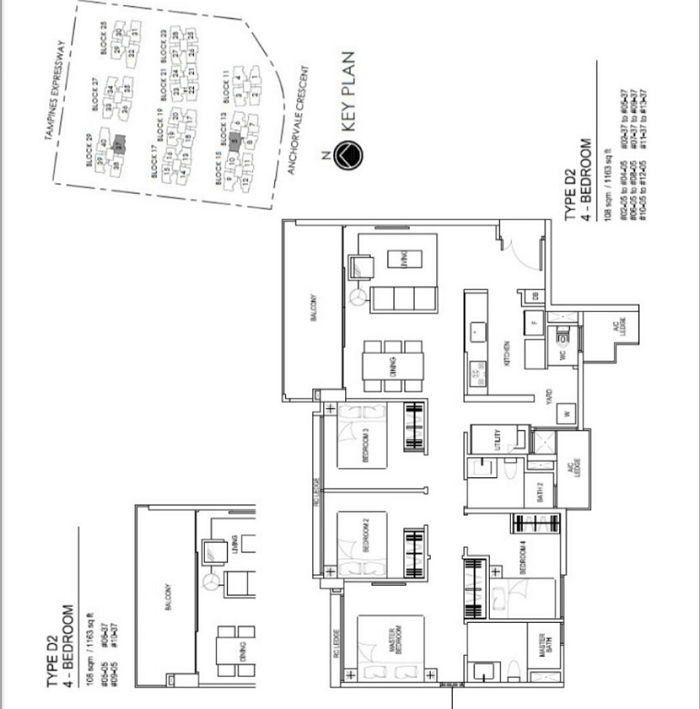 After all, working with the floor plan and the directions is the core of a Feng Shui consultation. Note: The sample consultation provided below asked for a general Feng Shui audit. To protect occupant’s privacy, the address of the property is not provided. Please find the Feng Shui analysis of your house/apartment attached and my comments. Try your best to digest it and feel free to come back with any questions you may have. Based on my measurements, your main door faces 304 Northwest. First, I will use Eight Mansions to analyze your house. Using this method, we need to look at where the (1) main door, (2) master bedroom, and (3) kitchen ends up in which sector. Then, based on the elements of these sectors, we determine whether they are in harmony. Your main door is in the North sector, your master bedroom is in the South sector and your kitchen is in the North sector. ​Do take special note that sector and facing direction are different things – it is after we get the FACING directions that we can correctly identify where the sectors are. 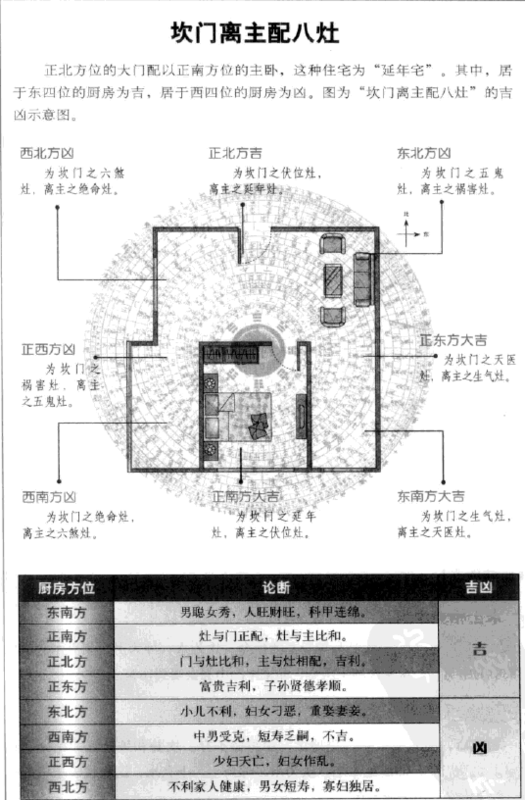 As indicated by the title of the image above, your house has a 坎门离主 structure, which is quite auspicious. Basically, according to the Bagua, 坎 (Kan) is the North sector where your door is, and 离 (Li) is the South sector where your master bedroom is. Your kitchen’s location, relative to the front door, is in Yin Yang harmony, which is also auspicious. Based on the Chinese classics, the overall Feng Shui of your house is 水火既濟大吉昌, which produces compatibility between husband and wife, promotes wealth and respect, as well as abundance. However, in the long run, the house can be harmful to the wife’s health, specifically to the stomach and eyes. All in all, this is a good house and I don’t foresee any major problems. Although do take note that this house says that the female head of the house will have some health issues related to stomach and eyes. 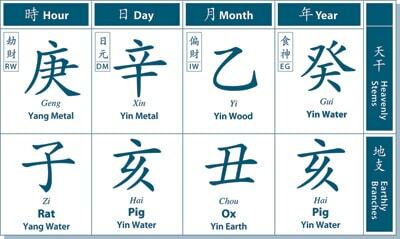 I wish to tie this back to your Bazi chart. Remember I said that your Bazi chart has too much Wood? Note that Wood assaults Earth, and Earth represents your stomach and stomach area. Therefore, do watch out for your health in this area. The house we end up living in will usually have a link to our lives unless we deliberately try to alter it by choosing a house that goes against our Bazi. So, in a sense, this house has an affinity with you because of what it says about the female head’s health. Do pay close attention to your health. A bad stomach will lead to a whole bunch of other health issues that will be hard to tackle down the road. Because you are already in the luck phase (大運) where Wood is extremely strong, the damage to your stomach probably has already been done. From my limited knowledge about diet, I know root vegetables help with the stomach, like potatoes and yam, etc. But please don’t take my word for it. Please seek professional dietary advices. Technically speaking, the head female of the house should be your mother-in-law at the moment, so watch out for her health too, especially if they are sleeping in bedroom 3. Other than the health issue of the female in the house, there’s nothing else negative I need to point out under the Eight Mansions method. Feel free to get in touch and clarify any of these with me whenever you wish. I’ll be happy to help you understand more. Next, let’s look at your house using the Flying Stars Feng Shui method. For your house, based on my experience, I’m taking into account the facing direction of the whole building and which side of the building receives the most Yang Energy. We’ll take that as the facing direction. As such, your house is facing 214 degrees Southwest where your balcony is facing. Most people would just take where the main door is facing, which I’ve realized is not accurate. Star 1: Water, Life – West. You might have read that certain stars are inherently good or bad. This is true, however, do note that every star has a positive and negative side and depending on which star is in command, different sides of the star will manifest. We are currently in Period 8, so Star 8 is “in command”. The strength of each star has been described above, with Vibrant (Star 8) being the strongest, followed by Life, Neutral, Death, and Killing, with Death and Killing being the most negative. Positive: Promotion, wealth and fame. Negative: Damages to reputation. Ill-health. Positive: Respect from others and being in command. Negative: Loss of wealth. Quarrels. Lawsuits. Negative: Negative impact on the women in the house. Quarrels. Positive: Success in studies and scholastic pursuits. Negative: Health issues related to the lungs. Lawsuits. Misbehaving children or subordinates. Positive: Respect and being in command. Negative: This is an extremely negative star during Period 8 so everything bad can be associated with it, including sickness, bloodshed, lawsuits, etc. Positive: Money making abilities. Success in career related to government or military posts. Negative: Will impact the wife and son of the house if this Star is not being supported by the current Period. Positive: Success in government or military posts – wealth will come from there as well. Positive: Overall wealth and success. Negative: Health issues in the form of digestive problems. Positive: Career success. Overall well-being. Negative: Health issues related to blood and heart. The number you see on the top left of the main Flying Star is the Mountain Star (山星), the one on the top right is the Water Star (向星). The main star (中星) is the star in the middle you see in the 9-grid square. How the effects will manifest for the occupants of the structure will depend on the Mountain and Water Stars’ relationship with each other, while taking into account the Center Star. The general rule of thumb is that you look at the Center Star first, then determine whether the elements of the Mountain and Water stars clash, with the Water Star being a bit more important. The ‘state’ of the Star in Period 8 needs to be taken into account, so it’s best to have Vibrant/Life Stars 8, 9 and 1 appear. Based on Flying Stars, the overall Feng Shui of your house has a very auspicious special structure we call “Prosperous Mountain Prosperous Direction” (旺山旺向). 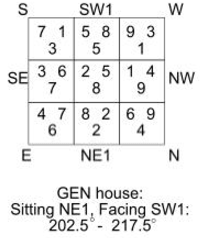 This is the best Flying Star arrangement of the house based on its sitting and facing direction in Period 9, as it signifies both health and wealth. If you look at the Flying Stars chart, you will see that the bottom middle square has Star 8 as the Mountain Star, and the top middle square has the Star 8 as the Water star. The only small downside is that, usually for such structures, the ideal case is that we can alter or tap into the surrounding landscape, which unfortunately we can’t because of the limitations of apartments. It’s also the reason why I always use Eight Mansions to assess the house first. There are two ways to find out where the wealth area is. The first method is using Eight Mansions. With this, your house’s wealth spot will be in the Northwest and Southeast, with Northwest being your living room. The Southeast would be your master bedroom which is great since you and your husband will be sleeping there. The other method is to look at where the positive stars during Period 8 is. The stars representing wealth would be Stars 1 and 8. The best position is in the West. The other sectors that have Star 8 in it are mixed with some negative stars and the bottom middle square, which is in the toilet where you won’t be able to tap into. As such, the top right corner of your living room is also a really good spot. If your husband wishes to put a fish tank in the balcony, it can be on the right side of the balcony where it shares the space with Star 1. ​The Academic Area (文昌, Wen Chang) position which govern academics will be in the North sector. Thus, technically speaking, this house should help with your children’s studies a bit, since the main door is located there. Keep that area well-lit and clean at all times. Personally, I would suggest your children to study in the dining area instead of that cramp little room, because it’s not really a good area due to Star 2. ​There are no issues with moving her to the East room. The East sector is traditionally known to belong to the second generation, so that’s fine. Just make sure you do what you can about the air quality and ventilation of that room. It’s better for him to take the room next to the master bedroom (bedroom 2). Your in-laws can take the other room. As there is an influence of Star 5 there, you will have to make sure you take note of their health and observe for any changes. As mentioned earlier, place it on the right where it shares the same sector as the top right corner of your living room. Star 1 is Water, so having a Water feature there would be good. Stars 1 and 7 will be in your master bedroom and they are considered good and neutral stars, respectively, during Period 8. You and your husband should benefit from the room, as this star combination is quite auspicious. As mentioned earlier in Eight Mansions, your mother-in-law is still the head female of the house, which will likely have stomach issues. Similar to the description, the effects of having Star 5 as the Mountain Star and Star 8 as the Water Star, the people staying there may have stomach issues. Overall, this house should give your husband a bit of a boost to prepare for his next Bazi luck phase. One thing I want to point out is the health for the females of the house in the long run. Don’t be too worried by this because no house is perfect. Every single structure will have some small flaw somewhere. Just take note of it, observe, and take preventive measures. We will move into Period 9 in 2024 so things may change, we can reassess again and see if it’s good to move or not. I’ll end the first primer here. Take your time to digest it and I’ll always be around to answer your questions. This is the end of the sample remote Feng Shui consultation. What do you think? Comment below and share your thoughts with us! Throughout the consultation, you may have noticed that Bazi was mentioned here and there. 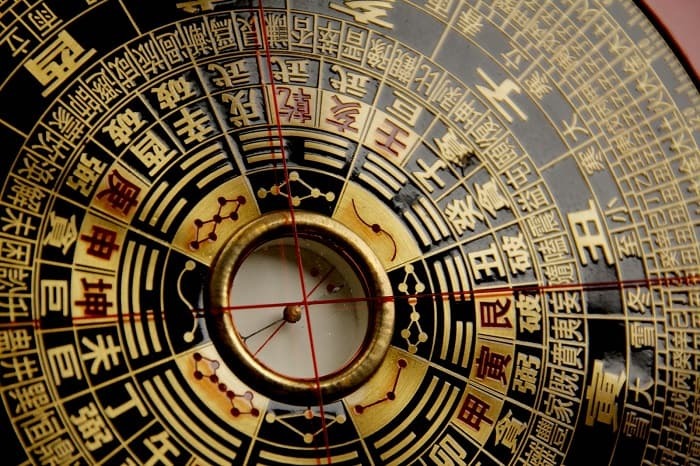 Generally speaking, a Bazi reading should come before a Feng Shui consultation. That’s because Feng Shui is usually there to help mitigate your weaknesses as indicated by your Bazi profile. Not integrating Feng Shui with Bazi may have repercussions, in some cases. A Bazi reading uses your birthday and birth time to provide valuable insights about a person. Shown above is a sample Bazi chart, also known as the Four Pillars of Destiny. For example, say that you are implementing Feng Shui to only focus on wealth. Without a Bazi reading, you might never know that your health is what’s preventing you from acquiring wealth. Hence, the Feng Shui that’s implemented is in a less than ideal way. All aspects of life are interlinked and influence each other, and Feng Shui should be used to balance all these aspects. Of course, this is not possible if the Feng Shui consultant doesn’t know about your Bazi profile. A Feng Shui consultation is just like other professional services. In some cases, the results you get from one expert can differ from another. This is similar to how, sometimes, doctors will have different diagnosis of the same patient, or lawyers will fight a case differently based on the same set of facts. In any event, I hope this article have helped you understand a bit of what a Feng Shui consultation is like. If you need one similar to the sample provided above, you can contact me here. Have you ever had a Feng Shui consultation or audit before? How was your experience? Share your thoughts with us by commenting below! Author, blogger, and digital marketer at Feng Shui Nexus. During the day, I do marketing in the tech industry. At night, I explore all sorts of knowledge, including feng shui, ancient wisdom, big data, analytics, and science. Click here to read more about me or say hi to me on Facebook or Twitter!